"As for accusations concerning the use of chemical weapons, we don’t have them. 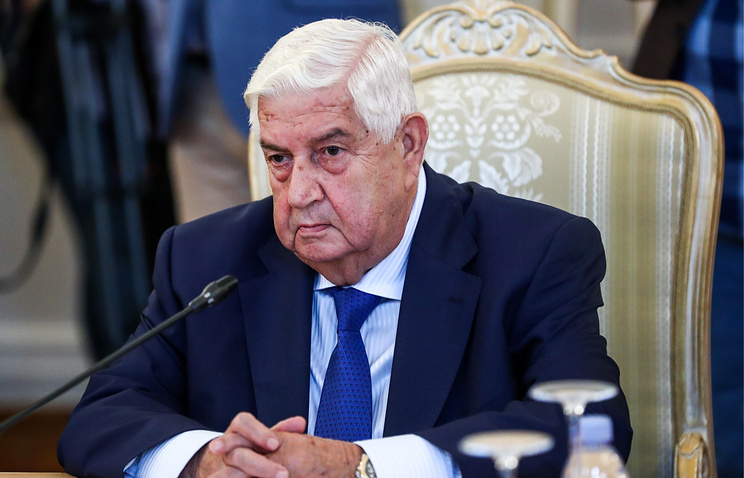 We do not use chemical weapons," Muallem said, adding that "we don’t need it because we have been achieving victories on the battlefields." He pointed out that the US and its allies had been hindering efforts to resolve the Syrian conflict. "We are about to take the final step in the fight against terrorism but the US, Great Britain and France are not satisfied with developments on the ground so they are trying to hinder efforts to promote the political process, particularly through the UN Security Council. In particular, their attempts to protect members of the Jabhat al-Nusra terror group [outlawed in Russia - TASS] make it clear," Muallev noted. At the same time, he said that Damascus "values Russia’s role in the fight against terrorism in Syria." "As far as reconstructing the country’s economy and infrastructure facilities is concerned, we also give preference to Russia," the Syrian foreign minister added.